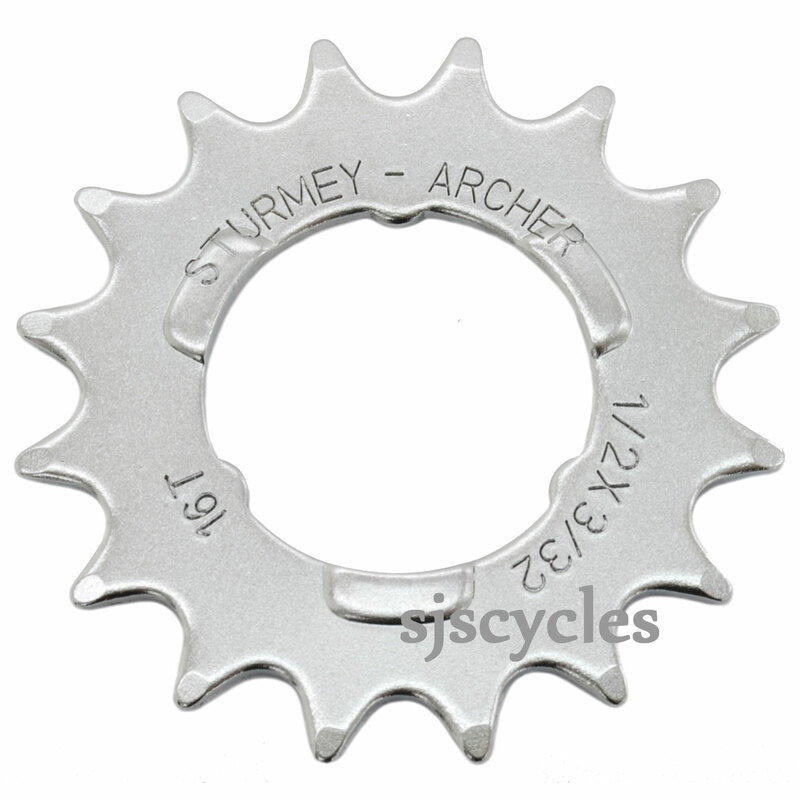 Sturmey Archer 16T Sprocket - 3/32 Flat C.P. Fitted to reduce the over-high gearing on a vintage Bickerton folding bike. Does the job and looks shiny. Can I use this sprocket with an RX-RK5 5-speed hub? Yes this sprocket is suitable. Does This Sprocket Fit Onto The Sturmey Archer S2 Hub? Hello. I want to buy a Sturmey Archer S2 hub but it comes with a 22 tooth sprocket and I would prefer a smaller sprocket. Does this one fit straight onto the S2 hub? This sprocket uses the same 3-notch fitting so should fit straight onto your S2 hub without any issues.